Published in 1979 by the Hamilton County Historical Society, Syracuse, Kansas. Includes history for the communities of Syracuse, Coolidge, Kendall, Hartland, Menno. Also includes history concerning Fort Aubrey, Trail City, early farming, Harvey House, World War II, schools, churches and more. 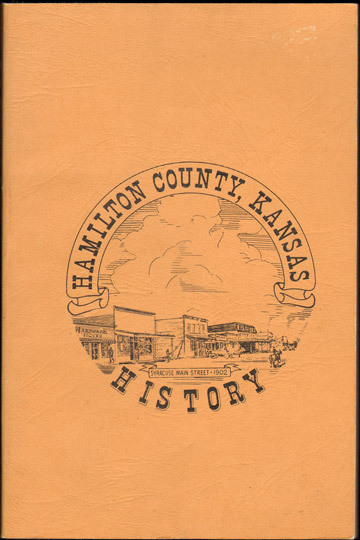 Includes some historical photos of early day Hamilton County, Kansas scenes, buildings, and persons. Does not include biographies but does include mention of many names.